I love decorating eggs for Easter but this year I was really busy, planting my dahlia tubers among other things. Maybe that’s why I didn’t have much inspiration. You remember last year’s Easter eggs? 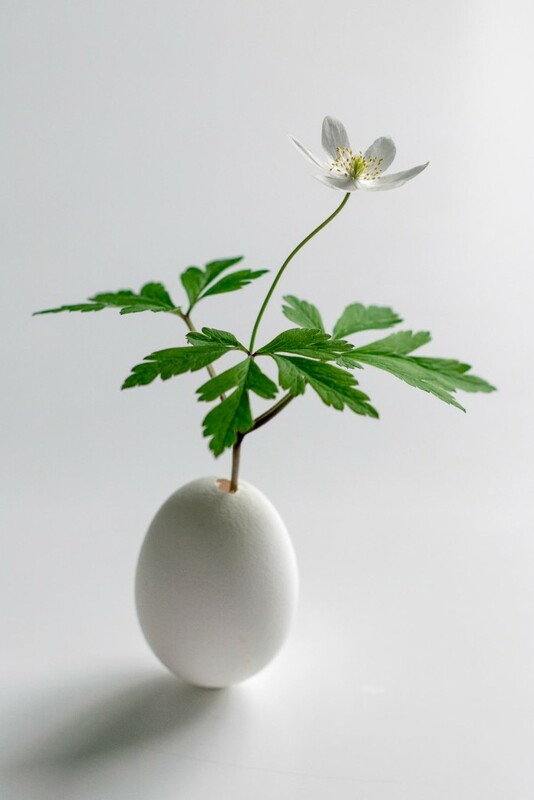 I decorated white eggs with pressed pansies and they looked really pretty. 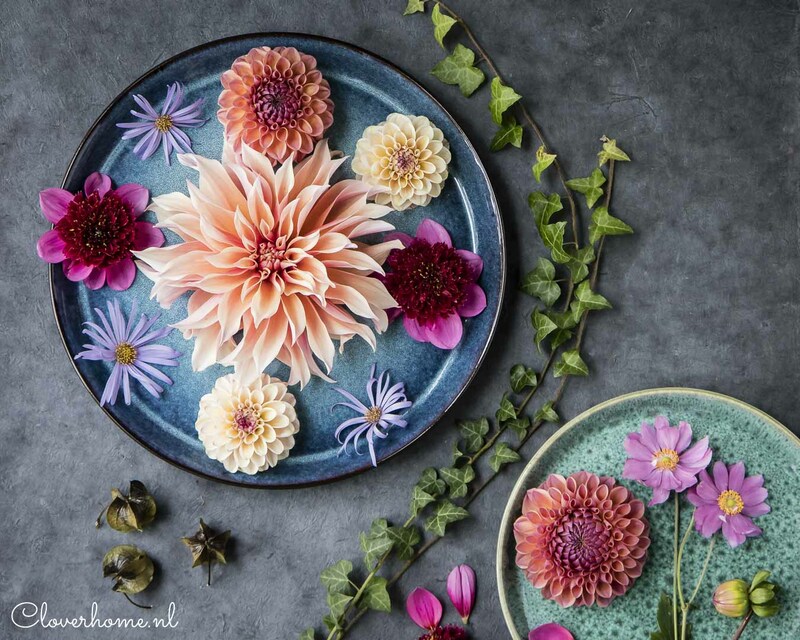 I love the look of pressed flowers, they are old fashioned and romantic. Pansies are some of the best flowers to dry. They are small and flat and hold their colour really well, especially when you use dark purple pansies. For my Valentine’s hearts, I used dried hydrangea petals. I thought of using the same petals to decorate my Easter eggs. 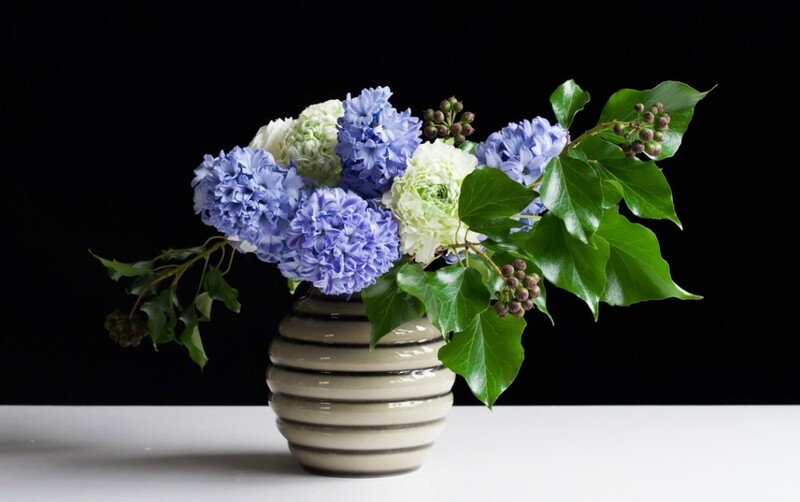 But hydrangeas are not really Easter flowers, are they? Besides, I didn’t feel like pink and purple. You know how colours reflect your mood? And how your colour preference changes with the seasons? At the moment I really love yellows and greens. It’s easy to understand why; yellow and green are typical spring colours. After a long, dark winter it is wonderful to see fresh green leaves appear everywhere. Green is a symbol of hope, growth, spring and life itself. Yellow is the colour of the sun and symbolises light. Easter commemorates the resurrection of Jesus but also celebrates the end of winter and the return of longer and warmer days. Nothing says Easter like a fresh bunch of yellow daffodils and my garden is full of them. Another beautiful spring flower in my garden is the wood anemone. 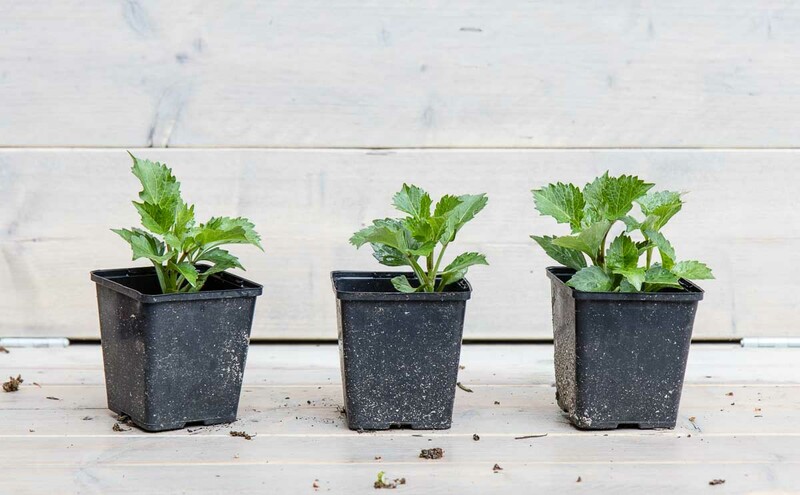 They grow in a shady part of the garden, under a large oak tree and some holly trees. En masse like this they are very lovely. The pure white flowers are pretty, the foliage creates a green carpet. And when I was looking through Pinterest in search of an easy Easter project, I knew I wanted to use these flowers. 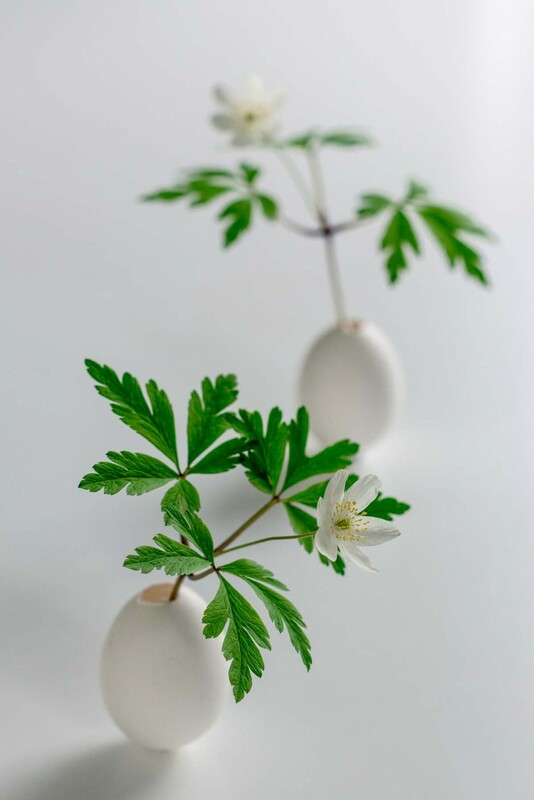 I decided to make egg vases and fill them with anemones. 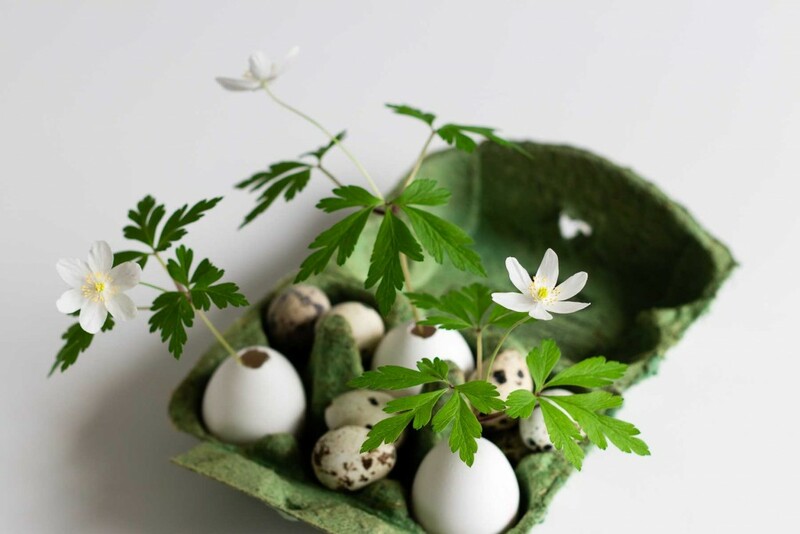 Make a hole in the egg, in the same way as with my pressed flower Easter eggs, using a needle or a pin. The hole then needs to be made bigger. I used a metal BBQ skewer as a drill. Use your fingers to twist the skewer through the egg. Apply as little pressure as possible or the egg will crack. Use the skewer to break a few pieces off the egg shell. I wanted to keep the opening really small. Empty the egg and carefully rinse the inside with water and soap. Save the contents of the eggs for scrambled eggs. 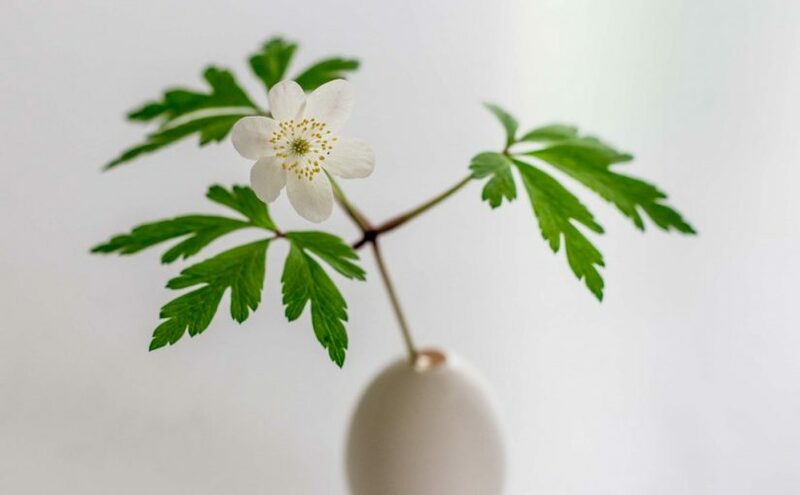 Fill the egg vases with water and add the flowers. The egg vases are waterproof. 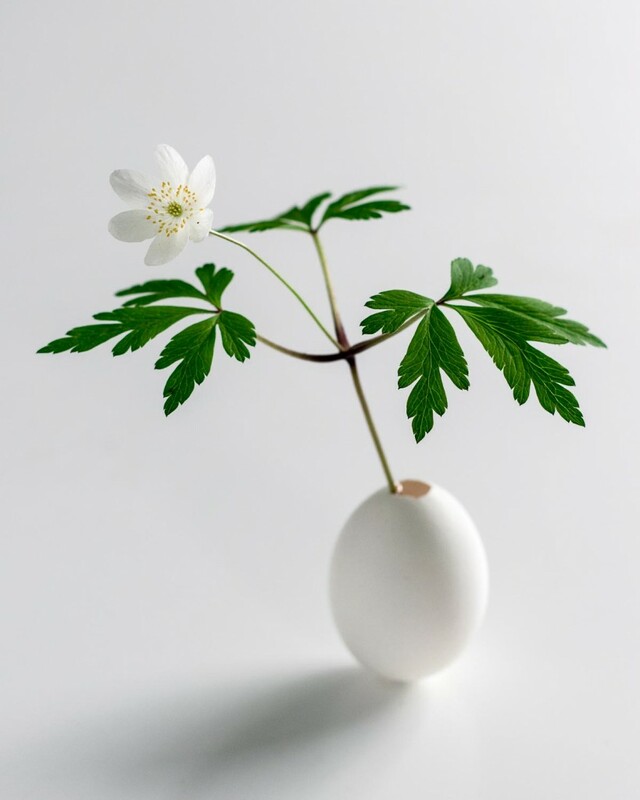 The wood anemones are not the best cut flowers but they will last 3 to 4 days. Display on a single egg holder or as a centrepiece using the egg carton. P.S. I found a small ring in the toolbox that I used to place the eggs on so they would stand upright to photograph them. The whole post I was wondering how you managed to balance the egg so perfectly, but in the P.S. you revealed your secret. Clever!